Students learn cross-cultural skills, and about the world around them through topics chosen. 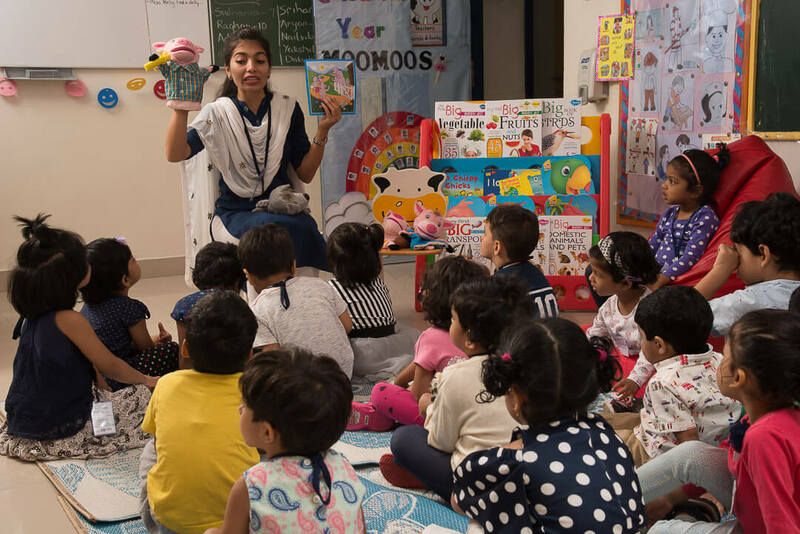 Students listen to stories, poems, watch videos, sing songs, and develop their vocabulary through games, and puppets. Students take the initiative to bring their favourite toy/ object to the class and describe it. This helps them develop their speaking skills, and build their vocabulary. 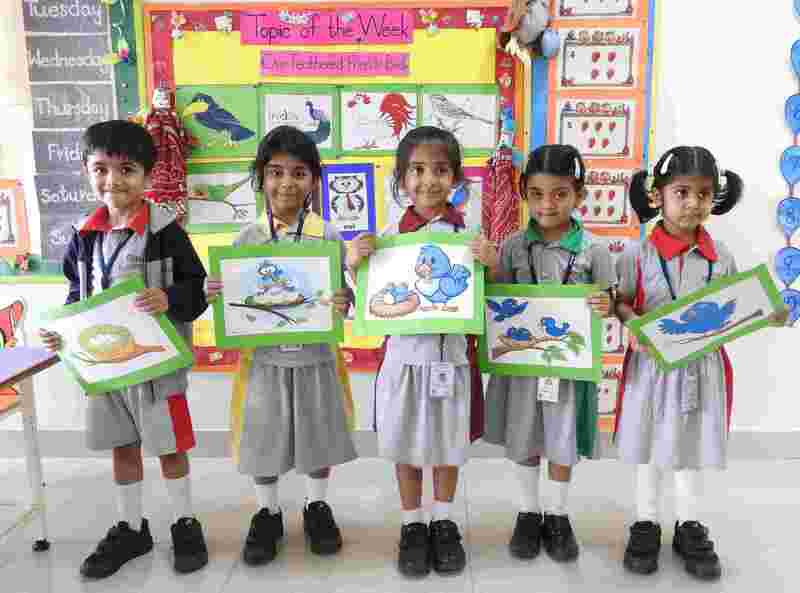 Students tap into their creativity and explore ideas by producing collages, finger prints, block prints, vegetable prints and tissue paper art. 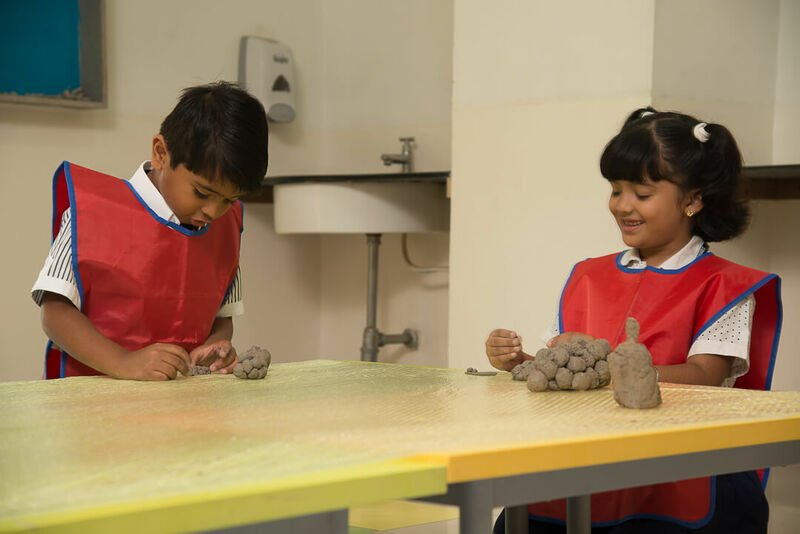 Clay modelling helps develop fine motor skills and neuro- muscular and hand-eye coordination. 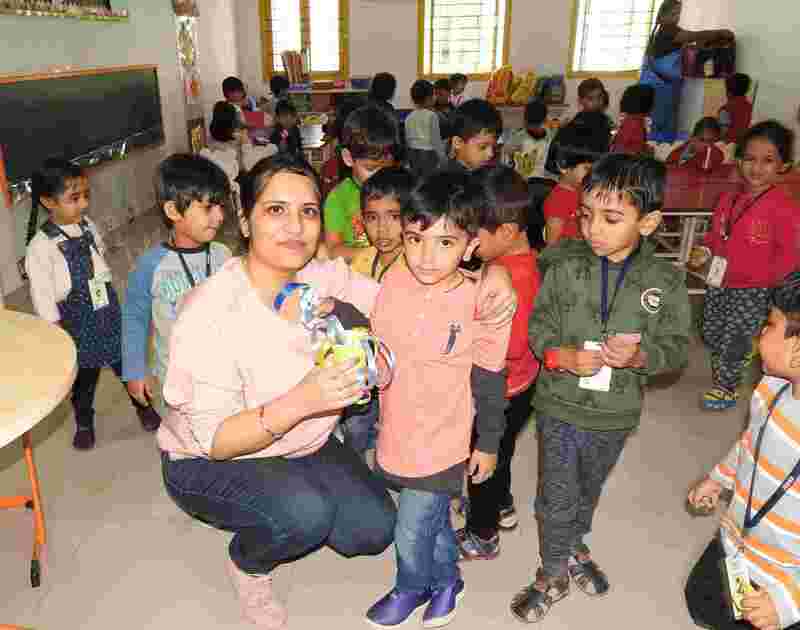 This helps in bringing about activeness and curiosity in students. 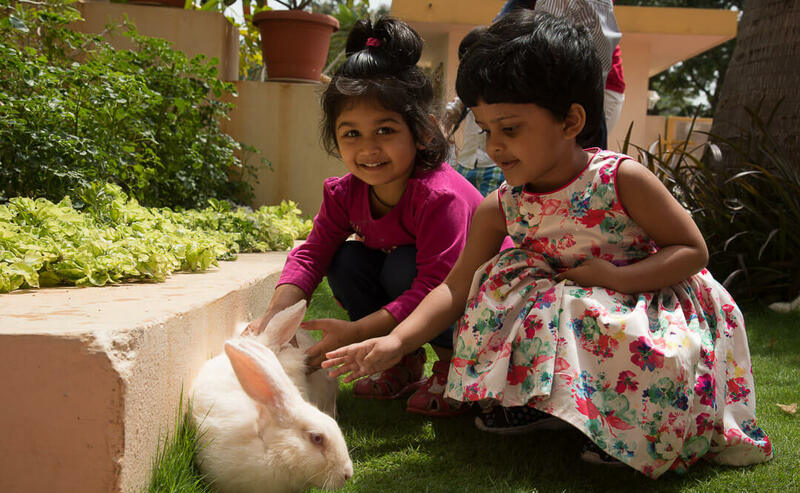 Play helps children develop and improve their gross and fine motor skills, coordination and concentration. 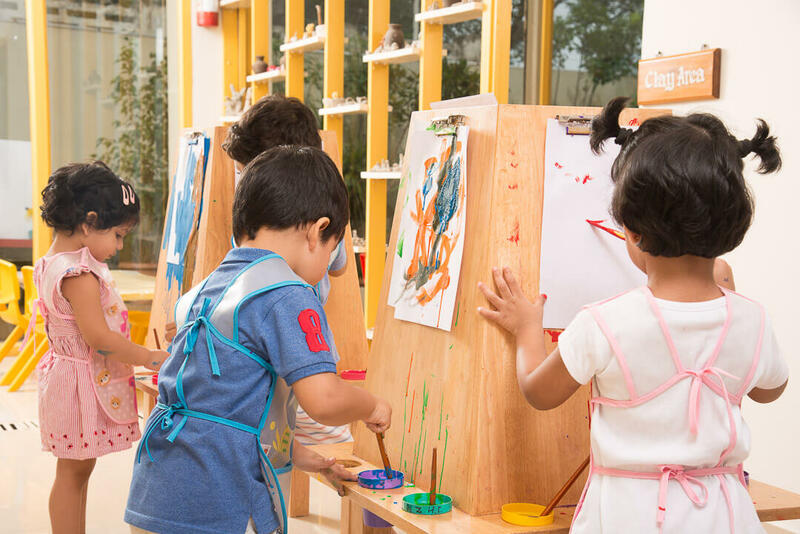 It teaches them to work cooperatively and collaboratively, using all their senses to discover and explore their environment, and develop their imagination, creative thinking, problem solving skills and experiment with solutions. 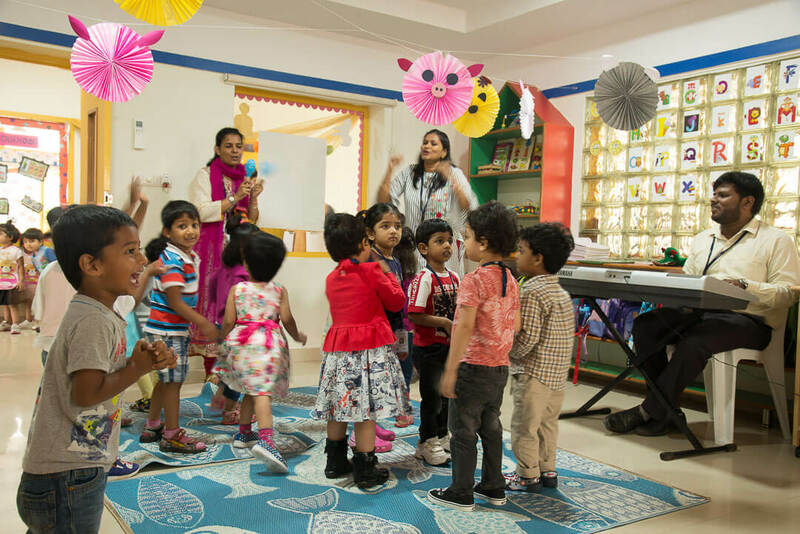 Singing songs and reciting poems and rhymes helps children develop early literacy skills. Keeping a steady beat develops language. Clapping hands, stamping feet, and using rhythm instruments in line with music develops important pre-reading skills. Young children recognize words, sounds, rhythms, tones, and pitch long before they talk, sing, or dance. So, the more music the children have in their lives, the better they will speak and read. Circle Time is set aside for all the students to share their thoughts, listen to one another, actively participate together, introduce new concepts and ideas and generally build a sense of respect and support for one another. 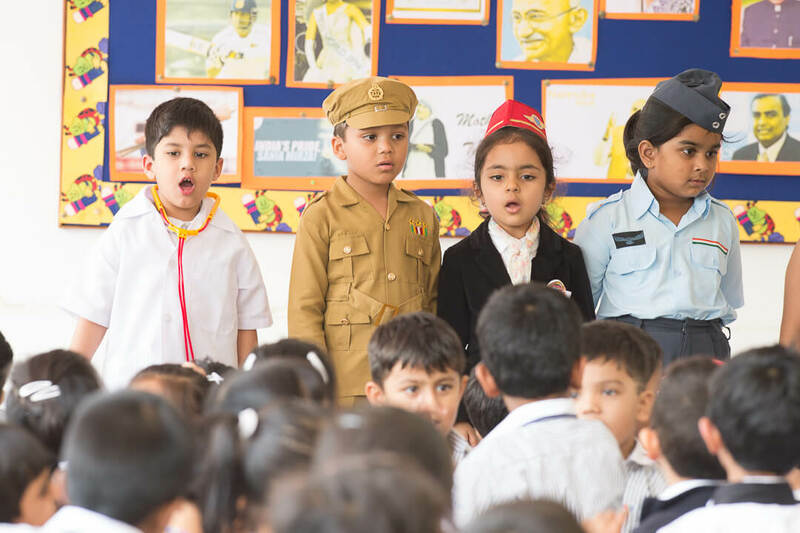 Storytelling and Role Play – Using various aids like puppets, models, drama, etc.. Puppets foster leadership, performance, and sometimes, even the courage to stand in front of our peers. Puppets also foster social interaction, communication, role playing, imagination, storytelling, and listening abilities. 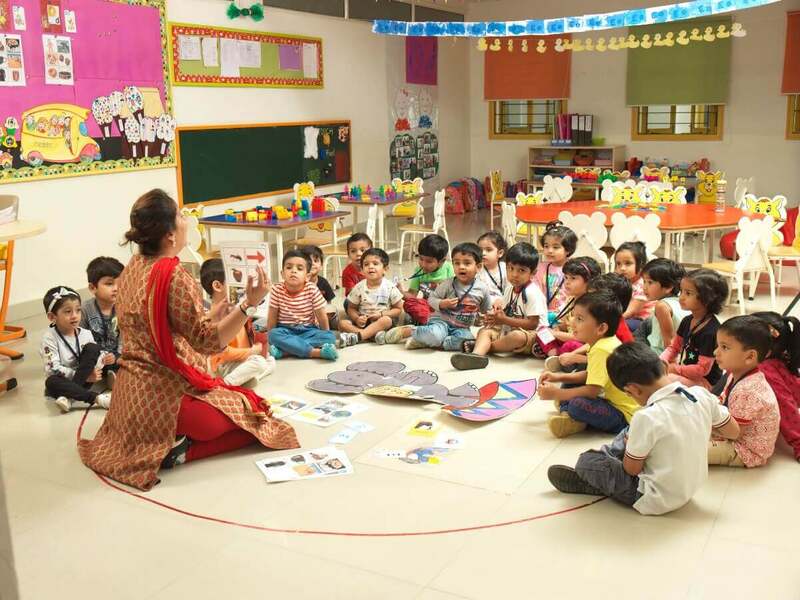 This programme has been integrated in the Early Years Curriculum. Specialised training has equipped the teachers to deliver this programme effectively. 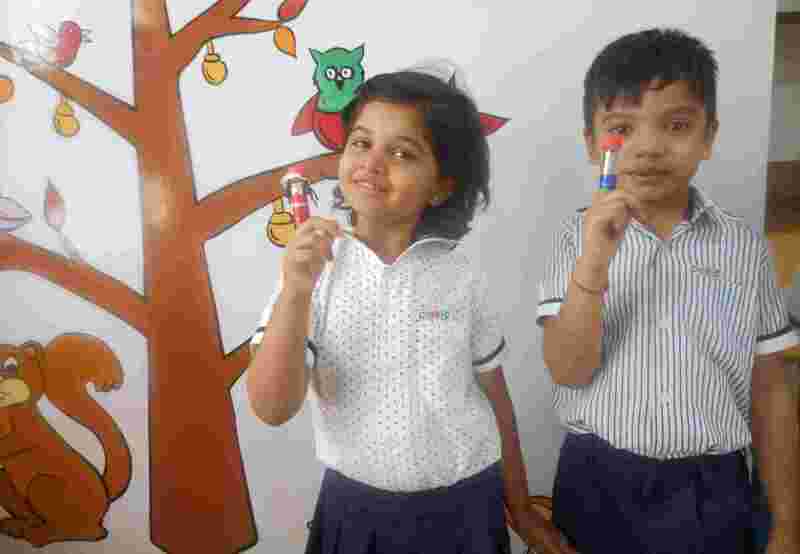 This has levelled approach which caters to all types of learners starting from beginners to fluent readers. 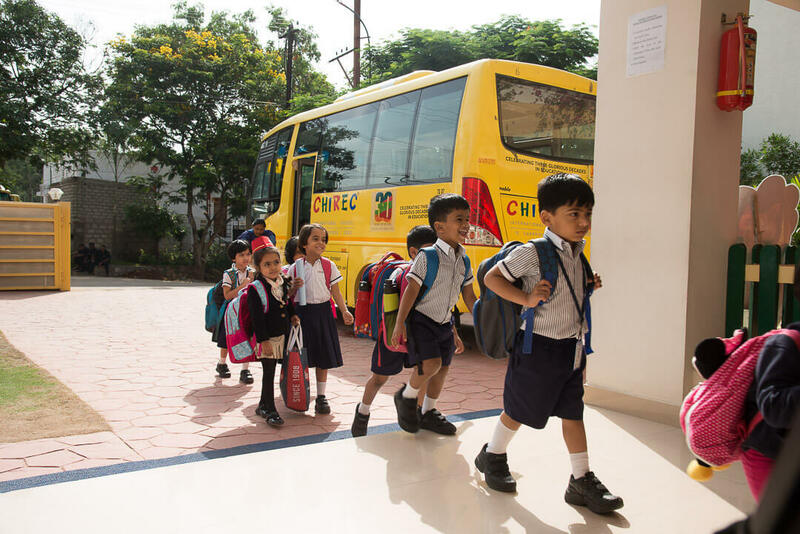 CCTVs in the campuses and buses provide close supervision of all areas of the campus. Lady Conductors travel in buses along with children. Concepts like a Pick Up Permit Card ensure that the child is handed over to authorized hands only. RFID cards help to track the movement of the students. Parents are involved in classroom activities, tasting the school lunch and general supervision in the school. School website provides information to existing and prospective parents, students and teachers. Parents can access the messages, announcements, menu through the Mobile App of the school. 1. What is the age criteria? 2. What is the teacher student ratio in a class? 3. What is the average class strength? 6. What are the other activities offered by the school?